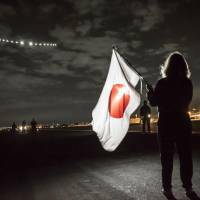 NAGOYA - The Solar Impulse 2 plane took off Monday from Nagoya, ending a frustrating four-week hiatus during its unprecedented bid to circle the world without fuel. 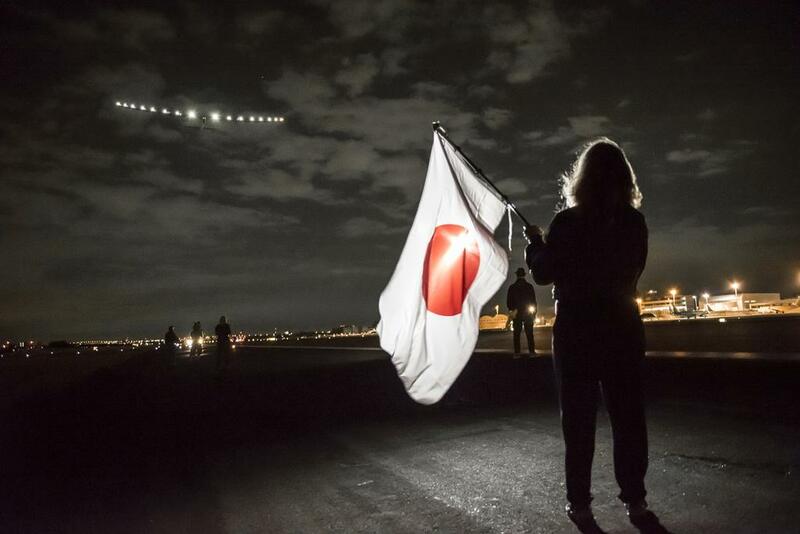 Flight engineers spotted a possible cloudless stretch over the Pacific and in a pre-dawn scramble got the solar-powered plane airborne from Nagoya Airport, where it has been grounded since June 1. She said a cargo plane will ferry the inflatable hangar together with the support crew to Kalaeloa Airport near Honolulu, where Solar Impulse 2 is expected to land after a nonstop flight of roughly five days and nights. Solar Impulse 2 is a lightweight aircraft driven by four electric propellers and banks of solar panels atop its fuselage and wings. It took shelter at the Nagoya city airport, also known as Komaki Airport, part way through a flight from Nanjing, China, to Hawaii. A previous effort to resume the flight last Wednesday was canceled at the last minute as ranks of journalists looked on. This time, the project team announced plans to take off only an hour or so before departure. The team issued a statement thanking their Japanese hosts for helping accommodate the aircraft and support staff during the unplanned visit. It said those who had helped during this “challenging” phase included Aichi Gov. Hideaki Omura, the Swiss Embassy and project sponsors Schindler Holding AB and ABB Ltd.
From Hawaii, the plane aims to reach the United States mainland and to cross the Atlantic while calm summer conditions persist. Its round-the-world voyage will end at its starting point, Abu Dhabi. Swiss pilot Andre Borschberg said June 17 that the unplanned grounding in Nagoya was eating away at the time margin and that “question marks” hung over the project’s completion this year. He said with every day of delay the effort comes closer to having to pause and resume next year.